Litter Robot #Giveaway at Whole Lotta Mama! Enter now at Whole Lotta Mama! Last chance! Head on over to OMG Scents to see how you can win a Holiday Plug-In Warmer and a bar! You must subscribe to OMG Scents blog before entering. This giveaway ends tonight at midnight EST! The giveaways mentioned are over. Big thank you to DaDa Rocks and Late Night Parents! Because of these awesome blogs, I’m now a proud owner of a Maclaren Volo. Good bye old stroller, thank you for your service, but Volo will now accompany me and little man on our outings. Head on over to Late Night Parents to win a Phil & Teds Explorer Double Stroller! This giveaway ends September 16th at 11:59 EST. While you are over there, check out Josh’s and Adam’s latest episode on Birthdays and Pre-School! 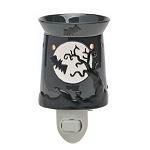 Head on over to OMG Scents to see how you can win a Holiday Plug-In Warmer and a bar! You must subscribe to OMG Scents blog before entering. This giveaway Ends September 15th at 12:01 am EST. Mistura Beauty’s easy to use makeup formula offers a flawless airbrushed finish in less than one minute! Head on over to ChicnSavvy Reviews because one lucky reader will win Mistura’s Ultimate Beauty Kit! This giveaway is open to US and Canada only, and will end on September 21st at 12:01 a.m. EST.